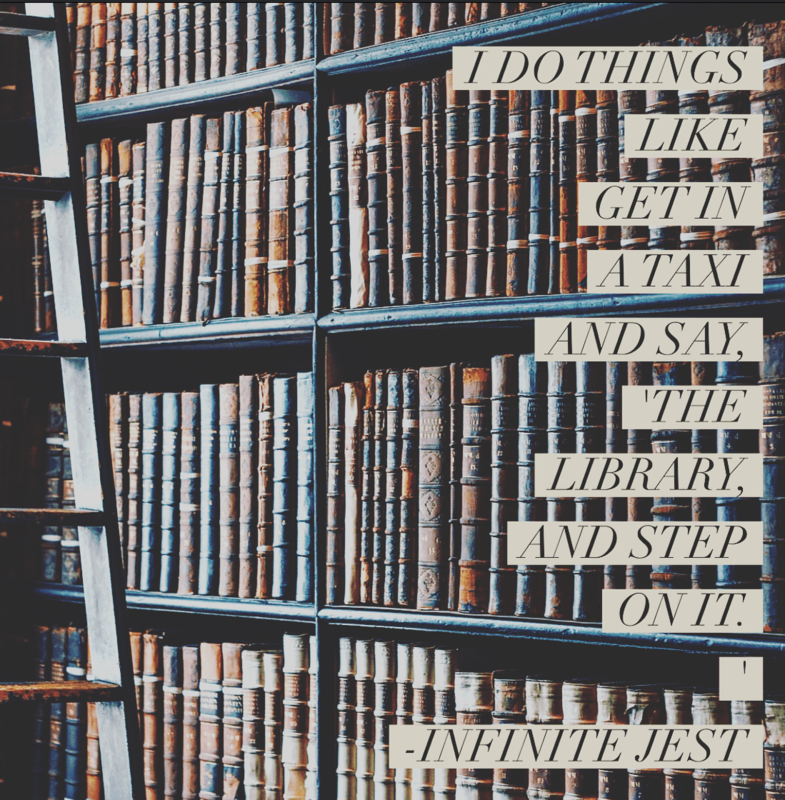 On Sunday, I named Infinite Jest as a book readers can benefit from dipping into, even if they never read it straight through to the end. Today, I’m prepared to elaborate on why. Tennis prodigy Hal, the first-person narrator, and his uncle (an administrator at the tennis academy Hal has attended since the age of seven) are sitting before a large group of Important Admissions-Related People at the University of Arizona. These include an Admissions Director, the Director of Composition, a Dean, the tennis coach, and possibly more. Hal, his uncle, and the tennis coach want Hal on the school’s tennis team, but the academics/admissions people have some concerns about Hal’s application. His stellar grades do not match his dismal test scores, and the academic types would like Hal to explain himself, specifically whether he is responsible for doing his own academic work. The uncle makes some cryptic references to “trouble” Hal had that interfered with his work, but the uncle and the tennis coach are sent out of the room so the academics can quiz Hal. In his defense, he speaks eloquently, if we are to believe his narrative, including this best line ever: “I do things like get in a taxi and say, ‘The library, and step on it. '” But something apparently fails to get through, because after Hal speaks, the academics are aghast. They wrestle him to the ground, call the uncle and tennis coach back into the room, and excoriate them (more on this in a moment) for exploiting a clearly very disturbed individual (Hal), who is incapable of speaking coherently. An ambulance is called, and Hal is carted off. Stay with me for a minute: Though I love books of all kinds, the ones sure to elicit a “wow” are those that do something fresh with language. The narrative structure or voice, the sentences, the point of view—if I can see clearly how and that the story’s idea and the use of language are inextricably bound up in each other, where the use of language is part of the storytelling, the book is a winner (sometimes even a Pulitzer Prize winner*). The first chapter of Infinite Jest is one of the best examples I’ve read in recent years. Having only read the first – extremely exhausting – chapter, I can’t tell you whether I would feel this way after two or more. And between you and me, I probably won’t read all 1,000+ pages anytime soon (or, you know, ever). If you never planned to read the novel (and still don’t), read that first chapter. Just read it. Because what Wallace does with his sentences, the way he unsettles the reader, creates confusion, disrupts our ability to understand with at turns excess verbiage and cut-off sentences—these brilliantly echo, at the sentence level, the narrator’s experience in the moment. We enter Wallace’s story in the same state of confusion and anxiety as his narrator’s. 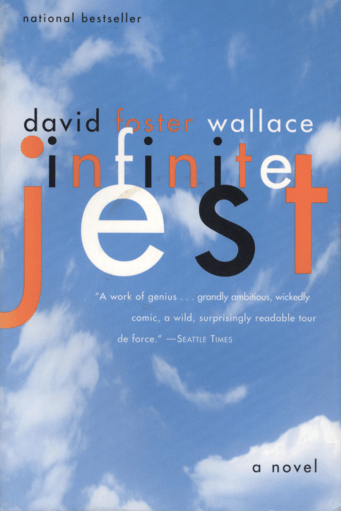 Has anyone read Infinite Jest cover to cover? Picture me huzzah-ing you!